THE 8-bit APOCALYPSE IS HERE! 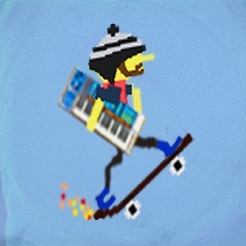 This is a punk indie tribute to the games I grew up playing, old arcade games, adventure games, and game & watch. It also celebrates the streets of Fitzroy where I live! Unlock rad powerups and face a growing horde of retro baddies as you progress through the game! Take on a collage of invaders in this zine-inspired scrapbook of 80s electronic games, complete with a sweet chiptunes soundtrack by Guney Ozsan! BOOM! During the 1980's, pixelated invaders took over the minds of millions of children. 25 years later, they've broken loose. 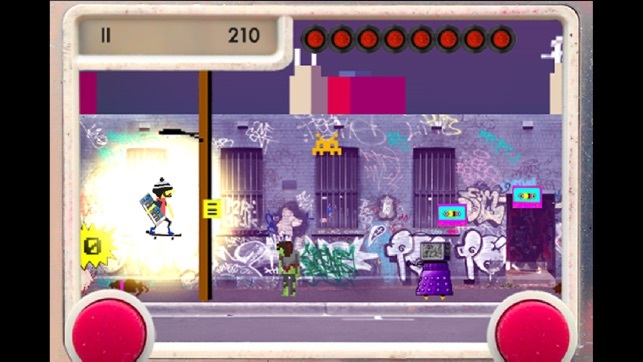 Armed with just a skateboard and a magical synth, it's time to save the world from the 8-bit apocalypse! Or at least, to get all your mix tapes back, or die trying. When news of the escaped 8-bit creatures hit Melbourne, the council was quick to respond, delivering R.A.D. pamphlets (Responding to Apocalyptic Disaster) to every home. Your house has just been hit, and all your precious mix tapes and band demos have gone flying. You grab your R.A.D. pamphlet and your skateboard, and hit the streets, on a mission to get 'em back! Featuring a fantastic chip-tunes soundtrack by Guney Ozsan. This is the debut game from Murray at MUZBOZ games. 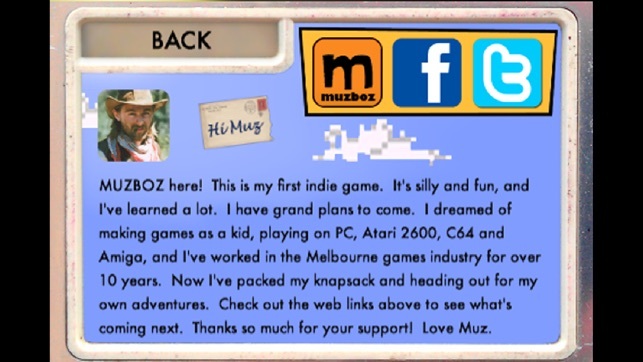 Murray has worked for 10 years in the Melbourne games industry, and has now packed his knapsack, and set off for his own indie adventures. "Rad Skater Apocalypse was developed organically as a way to learn how to develop games entirely on my own. 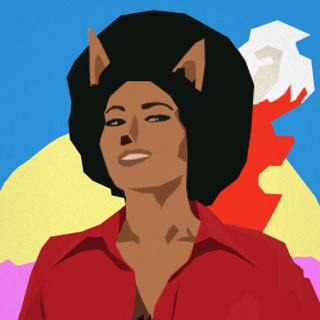 I've got a heap of ideas to work on next, ranging from adventure games, to stealth games, puzzle and strategy games, and one day I'd love to be considered an arthouse game developer! To bring something fresh, unique and compelling to games as a medium. 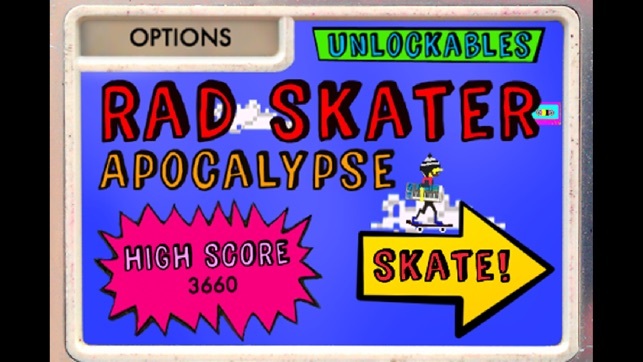 Please check out Rad Skater Apocalypse, and support me in my adventures forth in the lands of game development!" This is definitely an inspiring and fresh indie style game. I love the idea and I think the music is outstanding. Nice work!